Glancing nervously at the ticking clock, I sat on the painfully slow train as it crawled into the Manchester station. We had not prepared for our train to arrive late, and though 5 minutes doesn't seem to affect most people, we had a serious time crunch. The second the doors shot open, we were out and flying through the station platforms—I fell behind, as I battled with a sticky candy bar wrapper stuck to the bottom of my shoe. It was a serious struggle and when I finally saw it fly off with the wind, a man hollered, "It's still there!" I looked down and sure enough, only half the wrapper had let go. I didn't even have the pleasure of saying it was my own wrapper; then I would have at least enjoyed its chocolaty goodness. Though I had just been in Manchester two days prior visiting a friend, I was completely stumped on how to navigate the city—it didn't help that we left the station through the wrong exit, wandering down some street with an unfamiliar name. "This doesn't match my directions!" we panicked. Three of us had prepared directions to our destination, and all three of our directions failed. 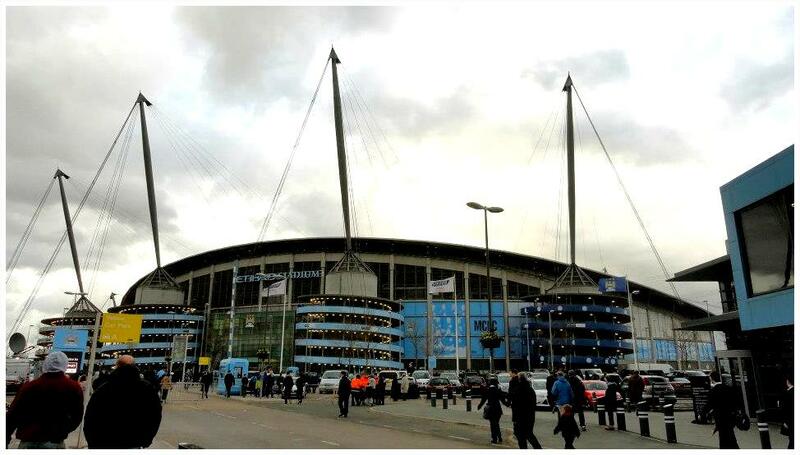 Finally, after much effort, we made it to the Etihad Football Stadium where Manchester City faced Wigan Wednesday night. I don't think I've ever walked that fast and that far in my life, and after running the last stretch, we didn't even make it in time for the kickoff. All we heard was the cheering crowd from our spot in the ticket line, but that's something at least. Our disappointment wore off when we found that we had fantastic seats with a great view, and almost instantly we were wrapped up in the excitement of sitting a few yards from the players—in comparison to watching on the tele', the crowd screamed louder, the players ran clumsier, and the wipe-outs sounded harsher. The sport came alive for me, as I had never been a spectator at a British football game before, or as I say since I'm American, soccer—the guys beside us smirked, probably thinking, "crazy Americans calling it soccer." "GO MAN CIT-AAAAAAYYY!!" the crowd cheered and roared, but no matter how loud the crowd hollered, the score remained 0-0. Beside our freak show in getting to the stadium, the most exciting thing all night happened with only 2 minutes left in the game: Man City shot the winning goal! At the end of the night after 2 hours of football, we hopped back on our train and rode home. It was a short, sweet, and successful evening, coming home with sore calves and a win to celebrate. 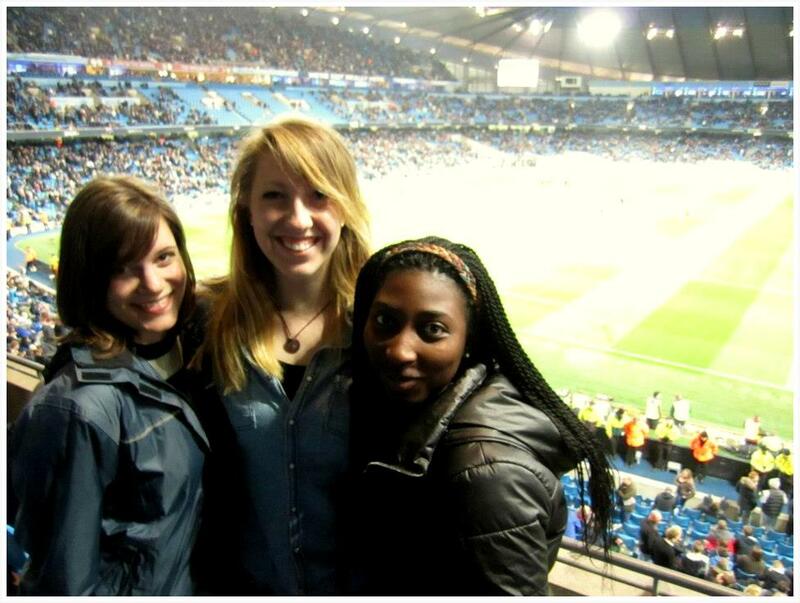 The things I love about England: football, trains, and city-hopping excursions.